Cloud Data Management - Datalumen - Ready to start your Cloud journey? LOOKING FOR A WAY TO BUILD A CONNECTED BUSINESS? Where do you want to start your Cloud journey? As you move to the cloud, it doesn't matter if you're taking a cloud-first approach or getting there using both on-premises and cloud sources. What's important is that the data traveling across your cloud and on-premises systems is seamlessly connected, managed, trusted and secured. To help you get started on your cloud data management journey and to keep your project on track, we have the solutions available to optimize your cloud deployments. We can remove this complexity so you can focus on business value. according to a 2016 451 Research report. In today’s fast-paced data-centric world, businesses are challenged to capitalize on the new kinds of data available to drive valuable insights about their business, improve operational efficiency and discover smarter ways to engage with customers. Traditional analytics, designed primarily for on-premises data sources, don't suffice and are often costly to scale. Many companies are looking to augment traditional analytics with cloud analytics that offer unlimited and flexible scaling, are designed for both cloud and on-premises use, and feature simple user interfaces that employees of all levels and in all roles can master. Cloud analytics can be defined as implementing one or more of the three primary constituents of business analytics—data integration, data warehousing, and business intelligence (BI)—any or all of which are deployed in the cloud. Cloud analytics is dramatically altering business intelligence. Some businesses will capitalize on these promising new technologies and gain key insights that’ll help them gain competitive advantage. And others won’t. Whether you’re a business leader, an IT manager, or an analyst, we want to help you and the people you need to influence with a free copy of “Cloud Analytics For Dummies”, the essential guide to this explosive new space for business intelligence. It’s true. Today, virtually every business has a tsunami of customer data. Many are using Salesforce Analytics Cloud to translate that data into actionable insights. Cloud Business Applications like Salesforce, Microsoft Dynamics 365, ... are at the heart of your business, but are tracking more than just your sales pipeline. They are being adopted by marketing, operations, services and beyond. However, for your Cloud Business Application investments to reach its true potential, your customer and product data has to be integrated across all of your systems, the data needs to be clean and accurate and users must be able to efficiently access information whenever they need it. Shape your Cloud integration strategy and tame your data complexity with the market-leading cloud integration platform. Datalumen has a number of award-winning point-and-click tools make it easy for any user, regardless of technical expertise, to bring clean, safe and connected data from any application or data service to any cloud environment. Stop dubious data from holding your cloud systems back. Get help with your Cloud Application landscape. Accelerate sales cycles, increase agility, and reduce operating costs by synchronizing your Salesforce Sales Cloud with back-office systems such as SAP, Oracle EBS, Siebel, Microsoft SQL Server, Marketo, NetSuite, Workday, and many others. To learn more about data synchronization and replication... To learn about duplicate prevention, hierarchy management, and multi-org coordination, contact us. Increase customer satisfaction, streamline support processes, and dramatically improve customer support agent productivity. Use Informatica Cloud to build efficient customer support processes to update case data in real time across Service Cloud, mobile, and on-premises systems. Support agents follow process wizards that automate tasks, eliminate data entry errors, and improve their time-to-resolution statistics. To learn more about real-time application integration for customer service, contact us. Increase campaign ROI, improve marketing segmentation, and boost Salesforce Marketing Cloud reporting accuracy. Use our Cloud solutions to synchronize massive amounts of account, contact and lead data between Salesforce Marketing Cloud data extensions, traditional enterprise systems, and enterprise data warehouses. Contact us and learn more about how marketers can improve their campaign journeys with our Salesforce Marketing Cloud Connector. Understand your customers like never before with Salesforce Wave Analytics data sets populated with accurate, clean, and consistent data from our Cloud solutions. Wave data sets can be enhanced with information from multiple data sources—such as enterprise data warehouses like Teradata and ERP systems like Oracle or SAP—and blended with data from cloud applications like Netsuite or Workday. Talk to us and see how to benefit from self-service data preparation and a unified 360° of customer data with our Salesforce Wave Analytics solutions. Help financial advisors improve their clients’ data-driven investment decisions by delivering data from hundreds of financial systems such as asset management, portfolio management, risk and trust operations, as well as SaaS applications, and enterprise databases into Salesforce Financial Service Cloud. Contact us to learn how to get the right financial data to financial advisors for data-driven investment insights with our Salesforce Financial Services Cloud Connector. Make your custom Salesforce development more efficient and secure by deploying best practices for Salesforce sandbox management. Use our Cloud solution to quickly create discrete and referentially intact test data sets. Secure and obfuscate sensitive data by masking fields such as social security and credit card numbers, email addresses, and names. Contact us to learn more about best practices with Cloud Test Data Management. You've deployed Salesforce Commerce Cloud to deliver a better commerce experience for your customers, but are you presenting all of the right product information to close the sale? Our Product Master Data Management solutions allows you provide rich product data regardless of the channel your customers' use. It helps manufacturers and distributors achieve a unique omnichannel customer experience fueled with data from partnerships and integrations for all key sales channels, eCommerce systems, e-procurement applications, catalogs and mobile devices. With the certified interface for Salesforce Commerce Cloud, we offer a single-vendor solution that provides a 360-degree product view that can access commerce-related product data from multiple sources within a Salesforce environment. The movement to cloud is an unstoppable force in today’s IT reality. Enterprises are engaged in the latest cloud megatrend—a massive race to reduce their data center footprint by redirecting on-premises workloads to public clouds such as Amazon Web Services (AWS), Microsoft Azure, and Google Cloud Platform. Most organizations evolve towards a hybrid cloud architecture, consisting of public cloud, SaaS, and on-premises systems. Consequently, data architecture is inherently more complex as organizations face data residing in multiple disparate systems. They need to address key hybrid cloud data management challenges, including data connectivity, visibility, scalability, and operational control. Whether you are lifting and shifting your entire data center to a public cloud or implementing a hybrid data warehousing or hybrid application integration project, our Hybrid Cloud / iPaas Solution addresses your data management challenges. We help you quickly get up and running with new cost-effective data services, such as Amazon Redshift, Azure SQL Data Warehouse or Google BigQuery, rapidly connect them to any data source in cloud or on-premise and scale your solution as your needs grow. The Datalumen solutions accelerate delivery of clean, secure, connected data, regardless of its source. Hundreds of out-of-the-box connectors enable you to rapidly unlock data from across your hybrid cloud environment and harness it for business insights and end-to-end business process support. Easy-to-use role-based tools increase the productivity for citizen integrators and technical users alike, so they can focus on using data for business differentiation. Our platform is inherently designed for elasticity and massive scale and supports your growth in public cloud from early proof of concept to petabyte-scale production systems. 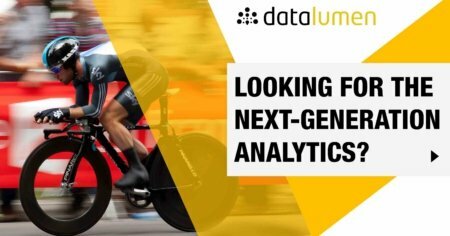 Turn to Datalumen to accelerate the benefits of public cloud economies, scale and agility. Discover how you can take full advantage of your Hybrid Cloud landscape based on Amazon, Microsoft Azure or Google. Catalog your enterprise-wide data prior to migration, so you can map out a predictable, viable, and manageable data migration roadmap that preserves data lineage while providing connectivity to AWS and on-premise data sources. Our hybrid data management platform will protect your IT investment, as well as the integrity of your data, whether you migrate your environment with no major redesign or take the opportunity to re-architect your data layer on AWS. Our metadata-centric hybrid data management platform is optimized for unlimited scale and certified for AWS. It supports key data integration and management patterns, any user and latency, and any location—in the cloud, on premise, or hybrid. Our hybrid platform offers native connectivity to key AWS data services and offers hundreds of out-of-the-box connectors to cloud and on-premise data. The solutions that we use are certified for AWS and available on AWS Marketplace for easy consumption and deployment so you can bring connected, trustworthy data to AWS right away. Harnessing data from IoT sensors, social media, e-commerce, and traditional sources for better customer experiences is a key competitive advantage. However, time-consuming and complex approaches such as hand coding and code generation can leave data inconsistent and stale. Our market-leading AI-driven data lake management solutions: Intelligent Data Lake, Big Data Management, Enterprise Information Catalog and out-of-box connectivity to Microsoft Azure Data Lake Store, Blob Storage, HDInsights, and SQL Data Warehouse lets organizations easily find, prepare, and govern data of any size and velocity to efficiently drive business value from cloud-ready Hadoop-based big data environments. Moving existing workloads and data sets to the cloud can improve agility and decrease costs. Informatica powers data management initiatives and future-proofs your IT investment when migrating on-premises workloads to Google BigQuery. With high-performance data integration and prebuilt connectivity, customers can accelerate the process of migrating a wide variety of data workloads to Google BigQuery from on-premises applications, relational databases, and data warehouses. No matter whether your business is big or small, your data most likely resides in the cloud, such as AWS or Azure, or in both the cloud and on-premises. The trick now is to effectively manage and integrate all your data so it is clean, safe and connected. The TDWI Checklist Report Data Management Best Practices for Cloud and Hybrid Architecture" explains why applying data management best practices to both hybrid and cloud-first IT environments is critical to your ability to provide timely access to trusted data. Application leaders responsible for integration are being tasked with integrating hybrid application portfolios as well as providing easy access to the data within those systems. This Gartner Magic Quadrant can be used to assess the ability of integration PaaS vendors to meet these rapidly evolving needs. A Forrester Research report for Enterprise Architecture Professionals about the 11 iPaaS providers that matter most and how they stack up. Datalumen provides a variety of methods to integrate data within on-premises systems and via cloud based technology. Many organizations began with a simple ETL integration for on-premise data integration needs. As the organization has grown so has the need to integrate more varied sources of data. Some applications have moved to the cloud requiring cloud to on-premise integration. Often, various departments implement one-off extracts and integration methods for departmental reports and extracts. The IT organization is likely struggling to keep up with all of the demands for data integration across the organization and trying to maintain at least visibility of the data movement activities. With this package our team will review your current integration platform and document the current state. From there we will review upcoming integration needs, your cloud based technologies, as well as your data integration challenges and departmental integration needs. During this effort our experts will review these findings and provide a roadmap and plan for areas where leveraging cloud integration technologies can help your organization. Used correctly, cloud data management solutions can help you to provide data integration capabilities to a broader audience in your organization. We can show you how you can put a tool in the hands of non-IT staff that will allow them to generate one-off integrations; allowing your IT department to retain visibility and control of these efforts should a time come to bring them back under IT ownership. We can show you how using cloud technologies can speed initial development for new projects and efforts without requiring full on-premise installation and configuration, thereby speeding your ability to prototype and begin initiatives more quickly. Get started and contact us for more details about our Cloud Assessment.